Two separate Digitimes reports claim that that the iPad 5 will feature GF2 touch sensor structure, with the same 2,048 x 1,536 resolution with 264ppi displays provided by LG Display, Samsung Display and Sharp. 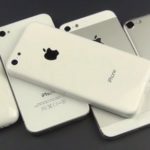 Since AU Optronics is rumoured to have been dropped from Apple’s supplier list, the above three will likely produce the panels for the iPad mini 2 as well. A DisplaySearch report indicates that the adoption of a new touch-sensor system – in-cell for the iPhone 5, and GF2 for the iPad – have been the cause of a noticeable shift in the touch panel supply chain. According to DisplaySearch, displays with in-cell touch are expected to rise from 7.3% of mobile phone shipments in 2012 to 13.7% in 2013, while shipments of GG DITO (double-sided ITO glass) structure are expected to decline from 10.3% to 0.6%. For tablets, shipments of GF2 sensor structure are expected to rise from 4.7% in 2012 to 28.4% in 2013, while shipments of GG DITO structure decline from 37.2% to 8.1%. Apple has switched from using GG touch sensors in the iPhone to in-cell tech with the iPhone 5. Also, it used GG between 2010 and 2012, and then switched to GF2 for the iPad mini and the iPad 5, according to the report. A second report emphasizing Apple’s choice of the GF2 touch screen technology also points to upcoming design changes in the iPad 5. The GF2 tech allows the 9.7 tablet to be much thinner and lighter, and as the rumour mill has already suggested it will likely inherit the thinner bezels of the iPad mini. Apple’s next-generation 9.7-inch iPad is expected to have 2,048 by 1,536 resolution and 264ppi, the same as that of the current model, according to industry sources. But the new device will have a slimmer bezel design and use GF2 touch screen technology, which will make it thinner and lighter. The report also has information about the iPad mini. 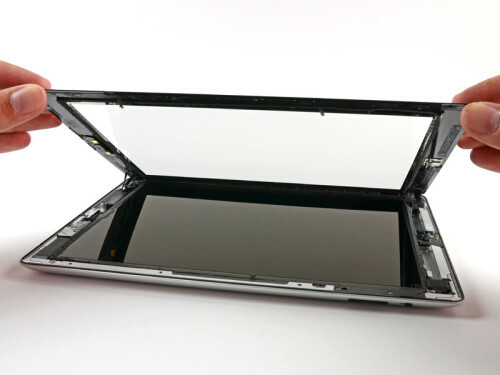 Apple is reportedly undecided between the TFT and LTPS backplane technology for its iPad mini 2. It also hasn’t decided whether or not to use Retina Display in the next generation 7.9-inch tablet. If the recent reports are correct, we won’t see an iPad mini 2 with Retina Display this year.